When I first remodeled this room I went deep red on the walls and while I loved it, while repainting the rest of the house it was sticking out like a sore thumb. After scraping the ceilings and replacing the carpet with new laminate it was time to go light and the walls became a soft buttercream. Here’s the post on how I built the bed frame: I built a bed. 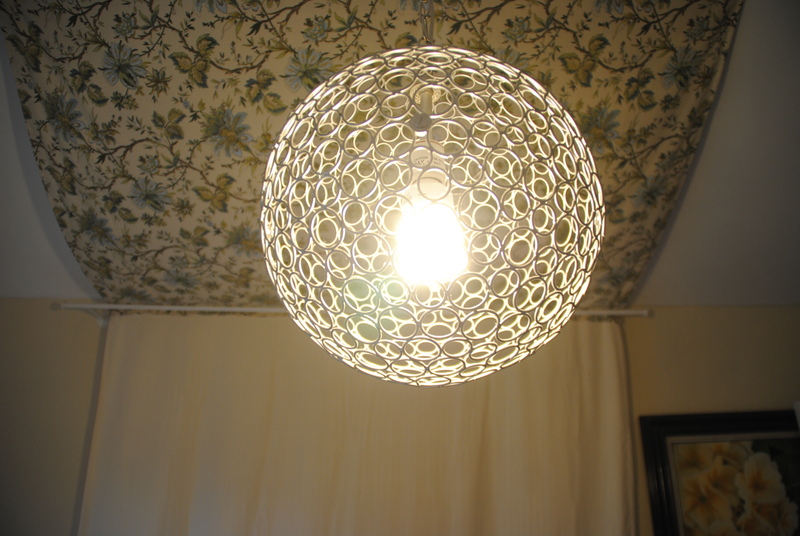 I replaced the ceiling fan with a hanging lantern from Shades of Light and it’s the small version here. 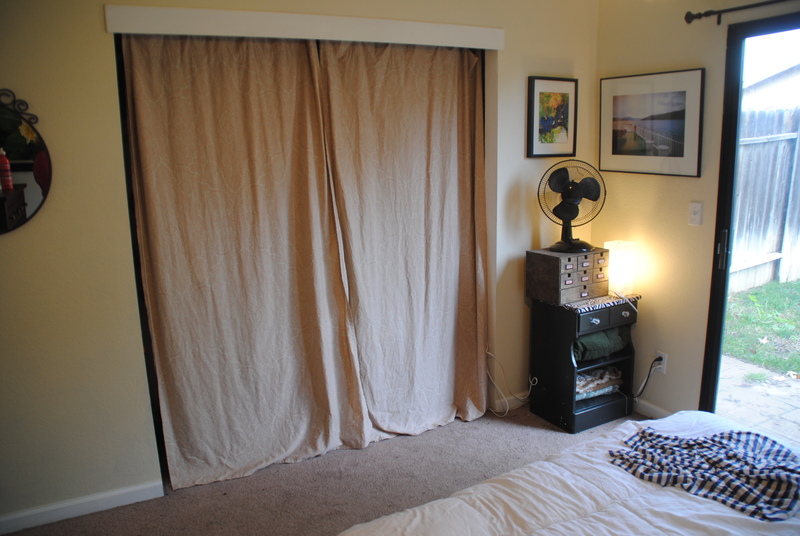 The curtains set for the closet came from queen flat sheet that I cut and hemmed. After injuring my ankles in 2015 I decided that I needed the bed to be much higher off the ground. So I bought and assembled (3) 1×4 Kallax units from Ikea and used them to form the base of the bed. With some supports and a bit of work it’s super sturdy and gives me a ton of storage for clothes too casual to hang and that would take up too much room in the dresser (primarily sweaters, sheets and workout clothes). Since the bed is substantially taller now I have chairs on either side so Wilson can easily jump up and down. Those nightstands are from Salvation Army and I painted them black before covering the top in a front zebra print. Currently I have a TV mounted on the wall between the closet and sliding glass door which is great for watching movies at night. On the wall between the bathroom and hallway I have my old faithful Ikea dresser.